1. Read Alexander Hamilton by Ron Chernow. The Biography That Started It All. Okay, yes, it’s over 700 pages long, but you can do it! Don’t throw away your shot! (Sorry.) Take a break whenever necessary and listen to a Hamilton track to stay inspired and if you really get bogged down, imagine the witty and erudite conversation you’ll be able to have (after finishing this book) with Lin-Manuel Miranda next time you run into him at the airport or the local sub shop or wherever. Besides, it’s a really good book. 2. 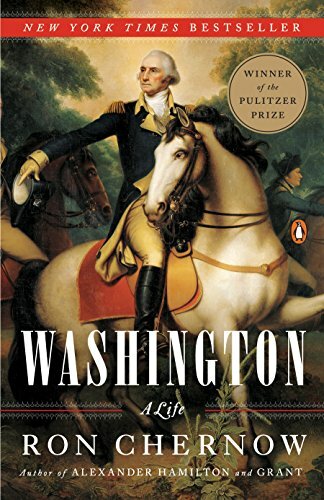 Read Washington: A Life by Ron Chernow. 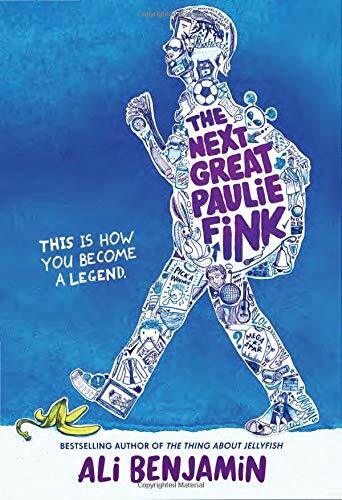 Another awesome biography about Hamilton’s buddy and father figure, and c’mon, you know Lin-Manuel’s read this one too. This is actually my favorite bio by Chernow—one of my favorite moments is when the famously undemonstrative Washington had a falling out with Thomas Jefferson and changed his greeting to him in their correspondence from “My Dear Sir” to just “Dear Sir.” WASHINGTON ISN’T PLAYING, PEOPLE. 3. 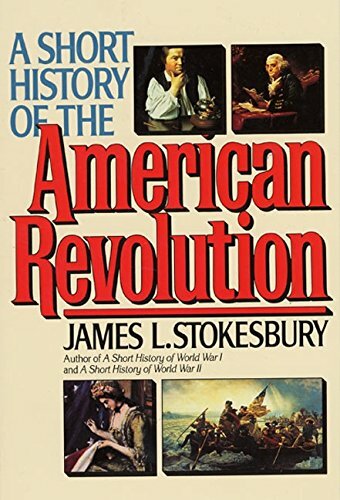 Read Short History of the American Revolution by James L. Stokesbury. Now that you’ve made it through some 1,500 pages of Founding Father biography, you’re probably interested in learning more about the actual fighting during the American Revolution. War histories can be incredibly long and difficult to keep up with, but Stokesbury’s Short History series (he’s also written books on World War I, World War II, etc.) provides great one-volume overviews. These books are great for homeschool shelves and have been highly recommended by My Brother, An Actual History Professor. 4. 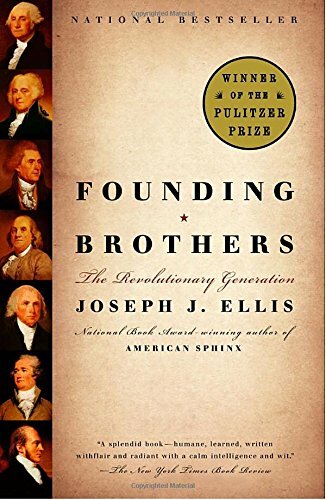 Read Founding Brothers: The Revolutionary Generation by Joseph J. Ellis. Ellis is another historian who specializes in taking big historical events and breaking them down into episodes that highlight important turning points. Ellis is always entertaining and this book, with chapters about the Hamilton-Burr duel, the Hamilton-Jefferson-Madison dinner, and Washington’s farewell address, seems tailor-made for Hamilton fans. 5. Read a Burr biography. 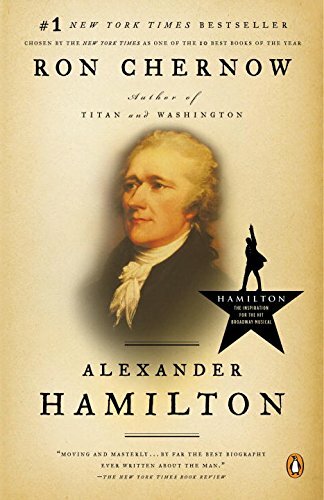 The bad news is that there aren’t that many Burr bios out there (though I’m sure that is changing even now as publishers scramble to keep up with the Hamilton fandom); the good news is the man was fascinating, so whatever you can find on him will be a good read. Everything that happens with Burr during Hamilton? That’s just the warm-up to the good stuff, when Burr decided to raise a force of armed men and invade Mexico, or maybe Florida, or maybe he’ll just take over New Orleans. Historians are divided on whether he actually committed treason (SPOILER: he definitely committed treason) but Burr being Burr, he managed to avoid legal consequences. 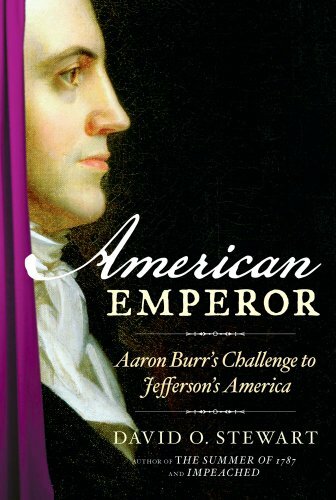 I recommend David O. Stewart’s American Emperor: Aaron Burr’s Challenge to Jefferson’s America (which primarily focuses on the post-duel years) and the two-volume biography by Milton Lomask (which I’m still working my way through but is great so far). War of Two: Alexander Hamilton, Aaron Burr, and the Duel That Stunned the Nation by John Sedgwick is also a great read. I can’t help it—I’ve become very fond of Burr. Sure, I wouldn’t let him talk to my daughters and I would NEVER EVER lend the man money, but I bet he would have been great to sit next to at a dinner party. 6. 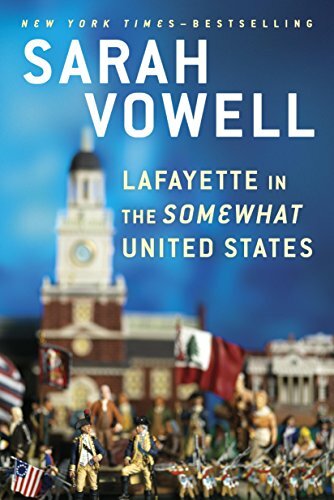 Read Lafayette in the Somewhat United States by Sarah Vowell. Vowell’s writing here is wildly entertaining, as usual, so I’ll forgive her the fact that this book has a slightly disappointing lack of Hamilton. Really, you should do yourself a favor and read ALL of Vowell’s American history books. 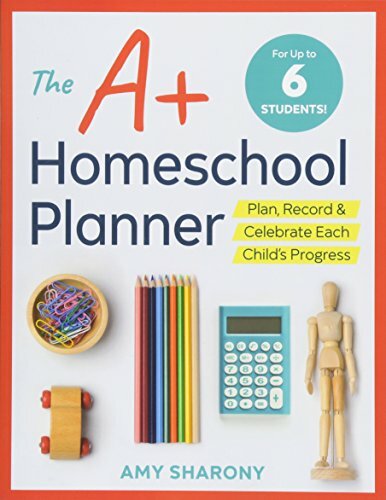 She’s a great addition to any homeschool shelf and I highly recommend her to students who maybe aren’t so sure that they’re interested in history. Assassination Vacation and The Wordy Shipmates are two of my personal favorites. 7. You should probably read a Thomas Jefferson biography, I suppose. I’m not the biggest fan of Jefferson, but yeah, he was an important Founding Father and a genius and all that. I don’t have a favorite Jefferson biography—though American Sphinx: The Character of Thomas Jefferson by Joseph J. Ellis is not a bad place to start—but there are plenty to choose from. 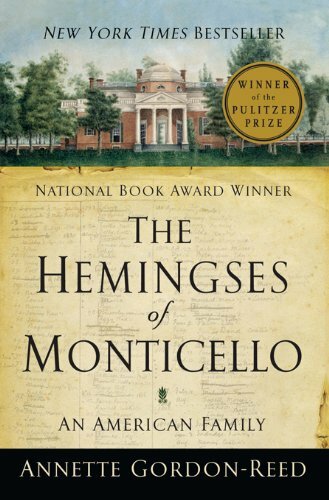 I highly recommend reading The Hemingses of Monticello: An American Family by Annette Gordon-Reed alongside whatever Jefferson biography you choose, to provide some additional perspective. 8. 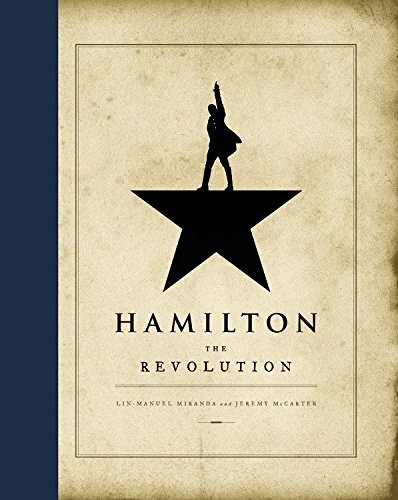 And now that you’ve read at least TWO Pulitzer Prize winning books and are an American Revolution history buff, you should definitely reward yourself by reading the official book about the musical, Hamilton: The Revolution by Lin-Manuel Miranda and Jeremy McCarter. Except I’m sure you’ve already got it, so now you can reread it and have intelligent and informed opinions on all the choices Miranda made when adapting history for a Broadway musical! Or you can just continue to obsess over its amazing awesomeness, like the rest of us! EXTRA CREDIT: Do you have room in your heart for yet another amazing Broadway musical about American history? Of course you do! 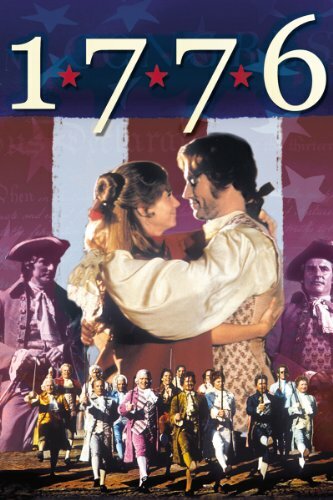 So you must see the movie version of 1776, the musical about the creation of the Declaration of Independence. The music (while wonderful) is more Broadway standard than contemporary, and the cast consists almost entirely of white men, but like Hamilton, the dialogue and verses are based on the actual writings of our Founding Fathers, who show up here as complicated, funny, and occasionally obnoxious men, rather than secular saints in heroic poses. As a bonus, the lead is my personal favorite Founding Father, John Adams, so after you watch this, you can pick up avid McCullough’s John Adams, the biography on which the HBO mini-series was based. Just think of the great conversation you can have with Lin-Manuel now!